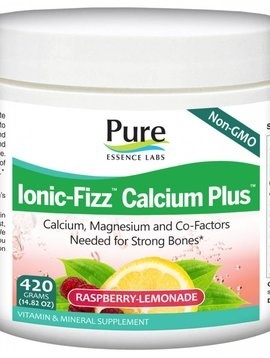 Ionic-Fizz™ Calcium Plus™ is an excellent source of calcium and magnesium in ionic form, and in a ratio that builds healthy bones and supports metabolism in general. It is supported by many other co-nutrients required for strong bones. 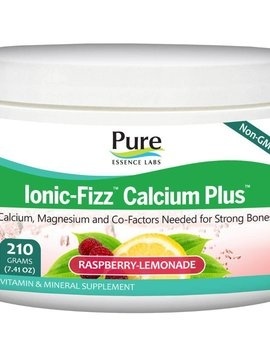 We all know that the mineral calcium is an essential part of teeth and bones, but the heart, nerves, muscles, and blood-clotting system of the body all need it too. Over 99% of calcium in the body is stored in teeth and bones, and the bones release it into the rest of the body as needed. Calcium reserves decline with age, and absorption can vary depending upon gender, race, and age. With bones constantly breaking down and rebuilding, calcium is needed to help the bones rebuild and keep them strong. Magnesium is the world's most overlooked nutrient. It is important for more than 300 chemical reactions and processes that keep the body functioning properly. These include supporting good heart health, helping to maintain cholesterol already within the normal range, healthy immune system, bone growth and maintenance, hearing, energy and endurance, nerves, digestion, skin, muscles… well, you get the picture. Your body relies on it to function.